Now that Rubin had shepherded smartphones from concept to phenomenon, they no longer held much interest. As an engineering problem, they had been solved. Sure, entrepreneurs kept launching new apps, but for someone who considered engineering an art, that was like adding a few brushstrokes atop layers of dried paint. 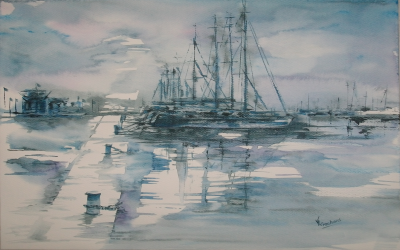 Rubin wanted to touch canvas again—and he could see a fresh one unfurling in front of him. Rubin has a theory that humanity is on the cusp of a new computing age. 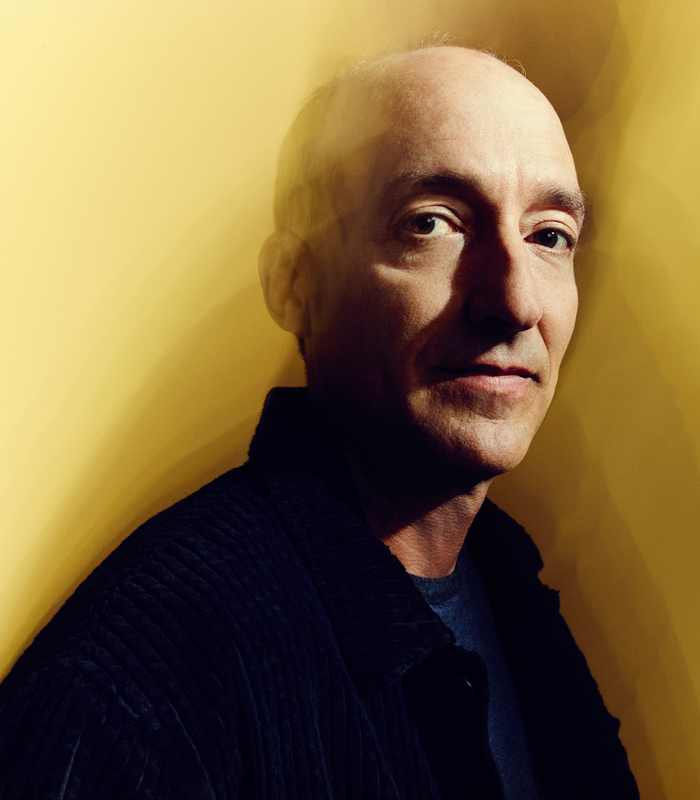 Just as MS-DOS gave way to Macintosh and Windows, which gave way to the web, which gave way to smartphones, he thinks the forces are in place to begin a decades-long transition to the next great platform: artificial intelligence. Google, Facebook, and Microsoft have collectively spent billions to fund the development of neural networks that can understand human speech or recognize faces in photos. And over the next decade AI is bound to grow more powerful, capable of tasks we can’t imagine today. Soon, Rubin figures, it will be available as a cloud service, powering thousands of gadgets and machines. Just as practically every device today contains software of some kind, it could soon be nearly impossible to buy a device without some kind of AI inside. It’s hard to imagine precisely what that future will look like, but for a rough idea, think about the difference between your car and a self-driving car; now apply that difference to every object you own. A TV set that translates shows into any language in real time. A security system that can distinguish between your spouse and a burglar. Ovens that know when your food is perfectly cooked. In 2013, Rubin discussed his restlessness with Larry Page, and—as Rubin recounts it—the two men agreed it was time for a change. That March, Rubin stepped down from Android. (Not every account paints that decision as quite so mutual; Bloomberg Businessweek described Page as “forcing Rubin’s hand.”) For a year, Rubin spun up Google’s new robotics division, but he quickly realized that Google’s goals, which reportedly involve creating humanoid assistants, would take a decade of basic research. Antsy futurists in Silicon Valley have several options for bringing their visions to life, but none of them appealed to Rubin. 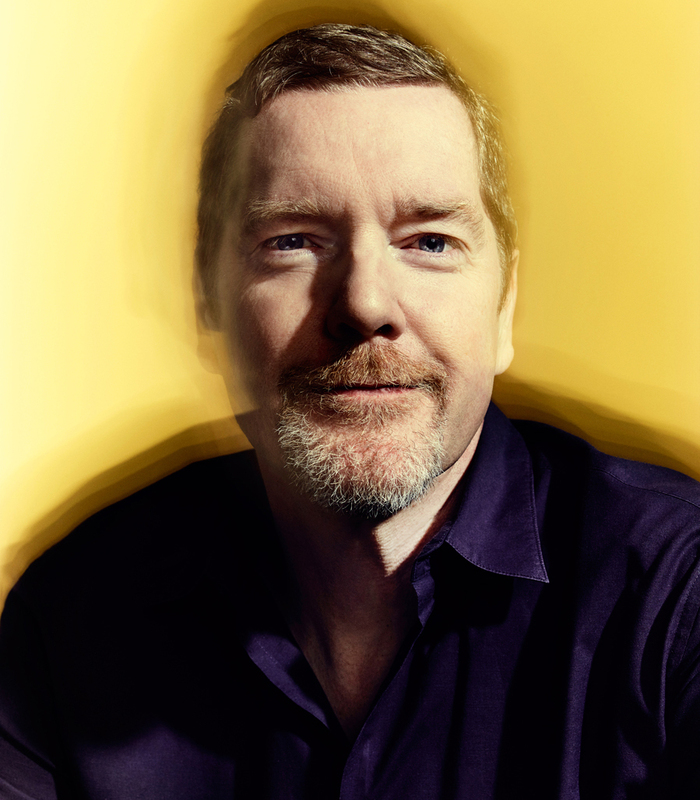 He could have stayed at Google—or joined any of the other large companies investing in AI—but he felt that even the most adventurous conglomerate was fundamentally too bureaucratic and risk-averse. He could have joined a VC firm or a hardware incubator like Highway1, but he didn’t want to merely fund and advise companies that were building the future—he wanted to build it himself. At the same time, he wasn’t eager to create just another startup; after the phenomenal success of Android, doing so would have felt anticlimactic. Rubin left Google in 2014—a departure that friends say gave his always overclocked ambition an extra kick. “I think he would love for Larry Page to look back in five years and say, ‘Oh my God, I made a mistake in letting that guy go,’” Andreessen says. A few months later, Rubin launched Playground Global—not just a new company but, he says, a new kind of company. Part of what makes Playground unusual is the way it’s structured. It has some qualities of an incubator and some qualities of a consulting firm, but it’s neither, really. Playground invests in hardware startups, yes. But instead of just providing funding and advice, Rubin offers them a centralized, all-star engineering department, staffed by seasoned technologists he’s worked with at Google, General Magic, Apple, and elsewhere. This team works side by side with Playground’s startups, building the hardware and software that will power their intelligent machines. Playground’s ambitions extend far beyond building individual gadgets or even individual companies. Rubin wants Playground to become the factory that creates the standard building blocks—the basic quartermaster’s inventory of components—for the AI-infused future. And he wants to open up this platform of hardware and software tools so that anyone, not just the companies he works with directly, can create an intelligent device. If he’s successful, Playground stands to have the same kind of impact on smart machines that Android had on smartphones, providing the technological infrastructure for thousands of products and giving a generation of entrepreneurs the ability to build a smart drone. Or a house’s worth of intelligent appliances. Or, hell, a full-fledged robot. The fundamental idea, Rubin says, is to create what he calls an idea amplifier—a system that quickly turns concepts into products with maximum impact. It’s a fitting goal for some­one as impatient as Rubin, a way of pressing fast-forward to deliver the future a little bit ahead of schedule. There’s another term for a contraption like that: You might just call it a time machine. 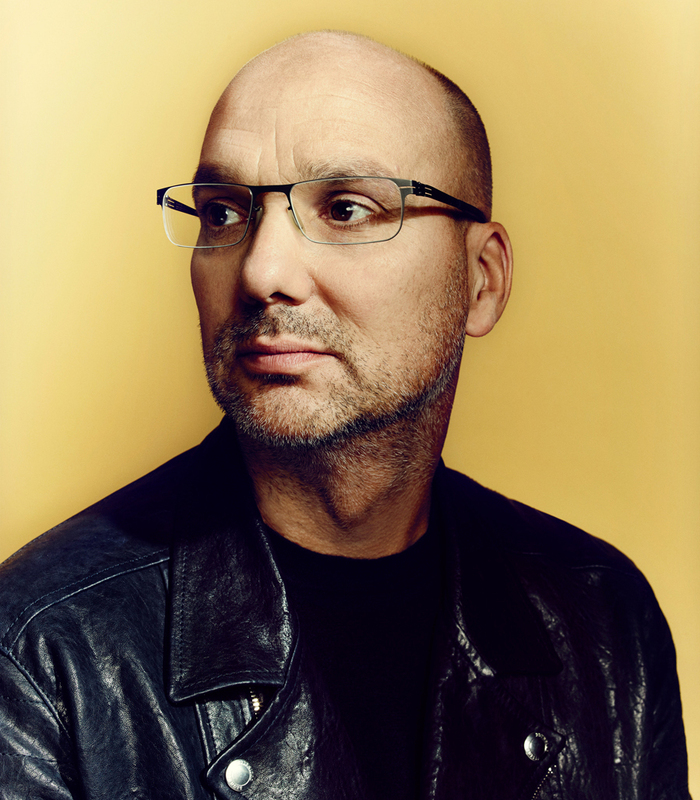 Andy Rubin beams triumphantly as he walks into Playground’s conference room. He has a reputation for coming off as remote, but now—lanky and balding, dressed in an aggressively unassuming sweatshirt and jeans—he radiates gee-whiz enthusiasm. “I made you pancakes! With the push of a button!” he announces, brandishing a plate of three doughy disks. Rubin collects gadgets of all kinds, and today he has brought in his latest acquisition—a shiny metal rectangle, about the size of a subwoofer, that cranks out flapjacks. Rubin rolls two of them into cylinders and gobbles them down. Not bad. Rubin’s fascination with robots is storied—he named his first two companies after them. (Before Android, he named Danger in reference to the robot from Lost in Space.) So it’s a little ironic that his first company that isn’t named for robots is the one that might actually bring them into widespread existence. Here’s how he sees it happening. Much of the energy in AI today is focused on building out massive neural networks, a task that involves gathering copious amounts of data. Right now, most of that data comes from the Internet. Facebook culls through uploaded pictures to identify faces in photographs; Google’s RankBrain pores over search activity to parse unfamiliar queries; Microsoft’s Skype Translator ingests hundreds of translated web pages and captioned videos to convert conversations from Spanish to English. But, easy as it may be to forget this, there is an entire universe outside of the Internet. For AI to reach its true potential, Rubin argues, we need to bring it into the physical world. And the way to do that is to create thousands of devices that pull information from their environment: text and images, sure, but also sound, location, weather, and other sensory data. Rubin wants to fill the world with these data-gathering machines, the better to feed and train those massive neural networks. This will create a virtuous feedback loop—new machines will make the underlying AI smarter, which will allow for even better machines. It’s easier than ever to build these kinds of smart—or at least smartish—devices. Sensors and CPUs are cheap, and Chinese manufacturers are eager to work with small-batch startups. But “easier than ever” still translates to “incredibly difficult.” That’s because there’s a huge difference between building a prototype and mass-producing a commercial product. That’s true for even the simplest piece of hardware. Let’s say you want to build a basic dashcam—a video camera that sits on a car’s dashboard and starts recording as soon as the car is in motion. (These are already popular in Russia, where limited auto insurance means that drivers are vigorous about proving their innocence in any accident.) Let’s also say you’d like it to track the car’s location and automatically upload its footage. The first thing you’ll need is a system-on-a-chip, or SOC—a semiconductor that contains the CPU and peripherals like an interface for an SD card. You’ll probably want an LCD. You’ll need a camera module, of course, with an image processor. You’ll have to have a power-management circuit, which connects to the battery. You’ll need a GPS chip, which is attached to an antenna. And you’ll also need a wireless interface, probably a USB attachment to a Qualcomm chip or something similar; that will require another antenna. And that’s just the electrical system! You’ll have to make similar decisions about the design as well as the software. You’ll want the whole thing to be as small as possible, and you’ll want it to run efficiently so it doesn’t drain the battery. Of course, you’ll want to make sure you’re getting the most reliable components at the best possible price. But because your dashcam won’t hit the market for another year or so, today’s components will already be obsolete. So you need to predict what those components will look like a year from now and design your dashcam accordingly. If you guess wrong, your dashcam will die before it ever ships to stores. Right now, every hardware entrepreneur must answer these questions on their own—a burden that distracts them from actually building products. Fortunately, Rubin has been here before. Before the release of Android, smartphone makers faced a similarly byzantine set of challenges. (How do you manage memory? Download content from the web? Host third-party apps?) By giving away its operating system, Android freed manufacturers from worrying about any of that stuff, resulting in an explosion of smartphone models. For the near future, that platform will be available only to the companies that Playground invests in—after all, Rubin says, the whole point is to help his in-house startups build products more quickly and successfully than their competitors. But eventually, he plans to start opening up the platform to anyone, much as he gave away Android to any manufacturer who wanted to use it. “I’m a strong believer in incubating an idea, developing it to a certain point, and then freeing it,” he says. “After it’s freed, anybody can do whatever they want with it.” He foresees a time when any kid with a Kickstarter can use Playground’s tools, creating a new generation of smart-hardware entrepreneurs. Twenty-three years before Facebook, Rubin hones his coding skills in college by running an early social network called Spies in the Wire. 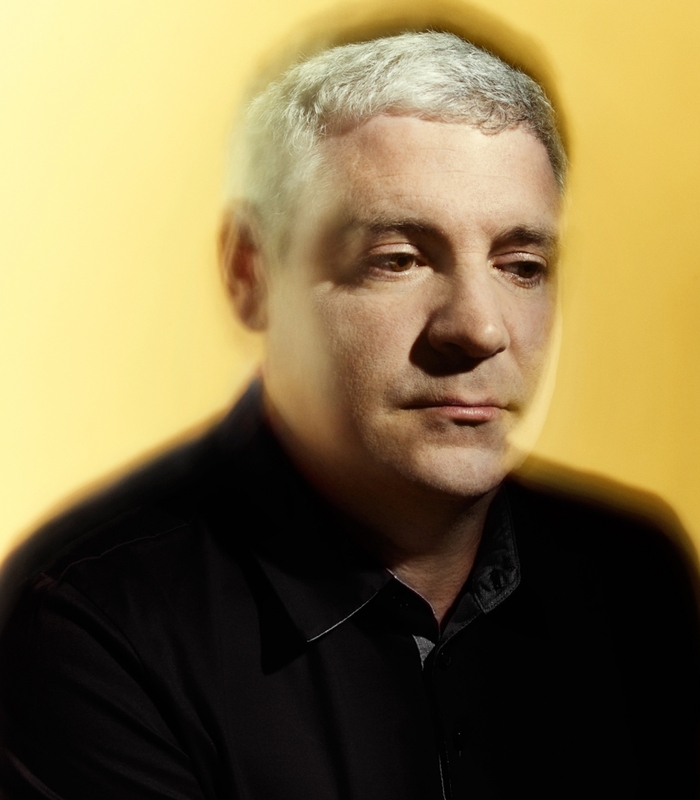 As an engineer at the Apple spinoff General Magic, Rubin helps create Magic Cap, an operating system for early handhelds that is years ahead of its time. It includes a prototype of the virtual keyboards used on phones today. As a cofounder of Danger, Rubin unveils the Hiptop—aka the T-Mobile Sidekick—which introduces now-familiar features like always-on connectivity, cloud storage, and a rudimentary app store. Rubin launches Android, a comprehensive, open source mobile operating system. Android goes on to be acquired by ­Google—and to become the biggest smartphone platform on the planet. Rubin puts $100,000 into Sebastian Thrun’s efforts to build a self-driving car—resulting in a victory at the 2005 Darpa Grand Challenge. Thrun goes on to head Google’s autonomous car program. Eager to move beyond smartphones, Rubin starts Playground, a company that aims to create a manufacturing and development platform for AI-equipped devices. At this point, that big, big idea may sound familiar. For the past several years, technol­ogists have heralded the dawn of the Internet of Things—networked thermostats, lightbulbs, refrigerators, and other gizmos that talk to one another. Companies like Google, Apple, and Samsung have all built proprietary ecosystems to enable that communication and are racing to convince manufacturers to build products for them. But Rubin says they have it backward; ecosystems arise to support popular products, not the other way around. Play­ground’s first step is to provide startups with the tech­nology to build new devices; the network will emerge later. “All these investments I’m doing, all these modules, all this tech—it’s all planting the seeds for the next ecosystem,” he says. When Rubin gets a vision of the future, he says, waiting for it to arrive is like being stuck in traffic. “When I have an intuition about how something should be, I try to figure out why it can’t be that way today,” he says. That’s why he designed Playground to remove any barrier to the creative impulses of his portfolio startups. 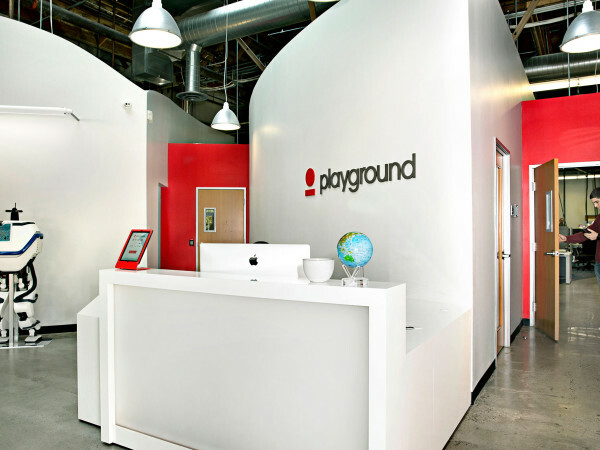 Several of the firms are housed in Playground’s headquarters. Bruce Leak, a cofounder who worked with Rubin at Apple, General Magic, and WebTV, says the underlying theme is: You never have to ask permission. Each company is given desks and a conference room, but if they ever want to relocate, they’re free to do so. Cables hang from the ceiling at regular intervals, so anyone can jack into Playground’s network from any location. If they need a new lens or a 3-D-printed part, they can head to one of two fabrication labs run by a former Apple laptop designer and a former SpaceX engineer. For more complex needs, the startups can file a request with the Studio, which inhabits a patchwork of desks near the front of the open floor. Taken together, the assembled companies resemble something like an Ocean’s Eleven–style team of specialists, each contributing their unique talents to a grand caper. Along with startups specializing in AI and drones, Playground has optics covered (thanks to an investment in CastAR, which makes an augmented reality headset similar to Microsoft’s HoloLens) as well as the Internet of Things (with an investment in ConnectedYard, which makes a Wi-Fi- and Bluetooth-equipped pool monitor). And these are just the startups that Rubin will discuss publicly—there are a dozen total. While all these companies hustle to bring their own products to market, they’re enabling Playground to begin developing its library of hardware components, software, and shared knowledge along the way. To extend the Oceans metaphor, Rubin and his three cofounders are the grizzled veterans, coming together to engineer one last big score. In addition to Leak, Rubin has enlisted Peter Barrett, a collaborator since his General Magic days, and Matt Hershenson, one of his Danger cofounders. Rubin has also pulled together a group of high-rolling financiers; the endeavor is supported by a $300 million venture capital fund, whose investors include Google, HP, Foxconn, Redpoint Ventures, and Tencent, the Chinese Internet-services company. But Rubin has never been satisfied to play the distant mastermind. So it’s not surprising to learn that, in addition to his platform, Rubin is building actual products himself. He is, after all, creating the software and hardware to power each of his startup companies’ tech; why shouldn’t he use that IP to make something of his own? That faith looked prescient a year later when Rubin invited Larry Page to join him in the Mojave Desert for the second Darpa race and Thrun’s vehicle came in first across the finish line. Two years later, Page hired Thrun to work at Google, where he would go on to lead the company’s self-driving car efforts. Over the course of two decades, what began as a hobby became an innovation that stands to change the way entire societies function. That’s just one chapter in a story that began even earlier, back when Rubin was 15, programming his R2-D2 to roll into his brother’s bedroom. And maybe it doesn’t culminate with self-driving cars but with whatever’s coming next—these thousands of smart devices integrating themselves into every aspect of our lives. It’s a future that stands to redefine our world even more profoundly than the smartphone revolution before it—surrounding us with a collective, always-on machine intelligence. Rubin estimates that this moment is still a couple of decades away. To him, that probably feels like an eternity. But to the rest of us, it will feel unimaginably fast—as if we’ve just stepped out of a time machine.